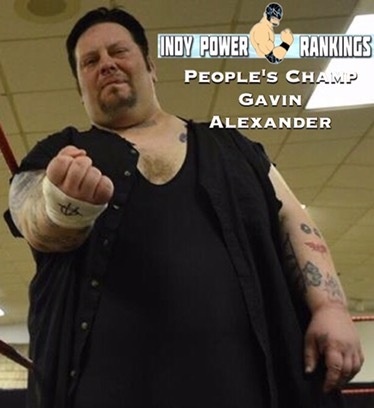 Who should be #1 in the Indy Power Rankings for the Week of 8/1/16? “Mr. Everything” Victor Andrews defeated his tag team partner James Anthony. Anthony must now leave Premier Wrestling Federation. Shinjiro Ohtani Openweight Champion Joseph Black defeated Colby Corino to retain the title in a ‘brutal, physical’ main event. 1. OI4K aka Ring Rydas (Dave & Jake Crist): About a year ago we thought we’d heard the last of Jake Crist – he was going to retire and take a behind the scenes role at Rockstar Pro. As so often happens in pro wrestling the retirement didn’t last very long and this week we see him and his brother notching up yet another number one ranking. Under their Ring Rydas name the Crist brothers arrived at the Gathering of the Juggalos on 7/22 and won a four-way against the defending champions Spider Monkey and Super Strong Tiger, the Hooligans (Devin and Mason Cutter) and the Viking War Party (Alex Rudolph and Jake Parnell) to win the Juggalo Championship Wrestling tag team titles. They then switched back to their OI4K personas on 7/23 and defeated The Hooligans again, plus Eddie Kingston (without a partner) in a triple threat at All American Wrestling to go 2-0 for the week. The prestige of the JCW titles and the strength of their opposition added up to give the Crist brothers yet another number one in our rankings. Depending on how often they tag together for the rest of the year, they could make a push towards making a big impact on our year-end rankings. 2. Beer 30 (SydSho Bruce MacGowan & Southern Showoff Jack Parker): Third place in the public vote and second overall for this indy team who are starting to get a reputation as title belt collectors. On 7/22 they defeated The Sure Things to retain their SGWA Tag Team Titles, and then on 7/23 they headed to Mid-Atlantic Championship Wrestling where they beat Lethal Injection to win the MACW Tag Team Championships. Add in the ASWF titles and this team holds three sets of championships at the moment. Definitely a team worth watching out for. 3. Indy Card Mafia (Eric Emanon & Thomas Brewington): The In Your Face Wrestling Tag Team Champions had another successful week. They first defeated The Homewreckers and Superbeast at IWF on 7/22 and then they defeated The Dub Boys at DelCo Pro on 7/24. Neither match was for a title, which is probably why they aren’t any higher in the rankings, but they showed why they have been one of the more consistent teams in the indies this year. 4. People’s Champs. Twisted Sisterz (Thunder Rosa & Holidead): They may look like they escaped from a Kiss convention, but this duo has been making an impact in the California scene. This week they teamed up at Finest City Wrestling, where they defeated Heather Monroe & Laura James. They then picked up 135 votes from the public to win the People’s Champs award for the week. They don’t currently hold any titles but it’s probably just a matter of time until they do. 5. Los Ice Creams: It’s easy to dismiss Los Ice Creams as a comedy act, but there’s no denying they have definite wrestling skills. El Hijo del Ice Cream & Ice Cream Jr. are the new Chikara Campeonatos de Parejas Champions after defeating N_R_G (Hype Rockwell & Race Jaxon) at Chikara in Canada on 7/23. Whether they’ll have a long reign or just melt away into obscurity remains to be seen. 1. 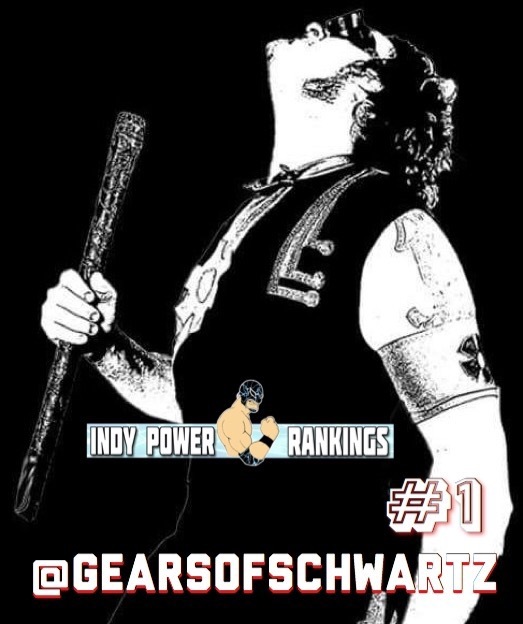 Joseph Schwartz: Congratulations to our number one for this week, who added the NWA United States Championship to the two heavyweight titles he already owns from UPW and VIP. He started the week with a good victory over Viking War Party’s Alex Rudolph at IWA Mid-South on 7/21. Then he had the one setback for the week when he teamed with Sage Philips and Sycho Sullivan at WCWO on 7/22 to lose to the team of TVZ and JPlexxx. He then got back on the right track by beating Larry D at CCW on 7/23. Then he won two matches on 7/24, first beating Shad Satu and then beating Jason Kincaid to win the NWA US title. That left him 4-1 for the week and a combination of support from the majority of the official voters and the third most votes from the public gives Schwartz the number one spot for this week. 2. Jack Jester: The Glasgow-based wrestler comes agonisingly close to topping out list this week. He won the HOPE title on 7/22 by beating Martin Kirby. Then he retained the title on 7/23 vs CJ Banks to retain the title, and then on 7/24 Kirby got his rematch, but Jester saw off his challenge and retained the title again to go 3-0 for the week. 3. Johnny Gargano: This may be one of the last times we see “Johnny Wrestling” on our rankings as he’ll be wrestling his last indy dates in September and joining WWE full-time. 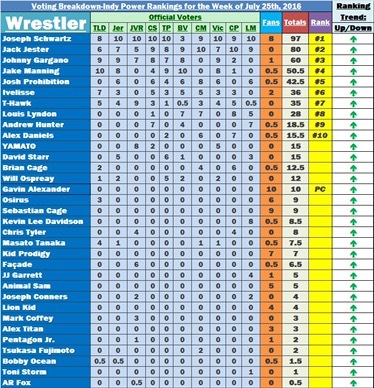 Maybe it was knowing that we won’t be able to vote for him much longer that got Gargano that got him so high up the list despite only one of his three wins being in singles. He started his week on 7/22 by teaming with his real-life love interest Candice LeRae at Absolute Intense Wrestling to defeat Ethan Carter III and Karlee Perez. He followed this with another tag victory, this time partnering fellow NXT and Cruiserweight Clasic star Tomasso Ciampa on 7/23 at All American Wrestling to defeat the TNA-based duo Trevor Lee and Andrew Everett. His week ended with a singles victory over Icarus at the joint Smash Wrestling and Chikara Pro event in Canada on 7/24. A good week for Gargano but can he notch up one more number one spot before moving on permanently to the “big leagues”. 4. Jake Manning: It’s been a while since we’ve seen the official voters this divided on the value of a particular victory. Manning only had one win this week and it was a big one – he beat John Skyler at Premiere Wrestling Xperience in a title vs career match on 7/24 to become the new PWX World Heavyweight Champion. Some of our voters put him as their number one for the week while others didn’t even put him in their top 10s. This saw him come in at number 4 overall. If in future weeks he can notch up a string of victories, it might persuade more people to vote for him and see him climb up the standings to the top spot. 5. Josh Prohibition: Coming in two places below Johnny Gargano we have one of the people who is credited as training him – Ohio-born veteran Josh Prohibition. Like Manning, Prohibition only had one win this week, but it was a big one. He defeated Ethan Page and Josh Alexander in a triple threat match at Absolute Intense Wrestling on 7/22 to become the new AIW Absolute Champion. A very impressive victory indeed, but like Manning, Prohibition probably needs to notch up two or three wins in one weekend if he wants the number one position. 6. Ivelisse: Due to her involvement with Lucha Underground, Ivelisse doesn’t pop up too often on the IPR top 10, but when she does she usually makes a big impact. She currently holds titles in both Shine and WLL, and it was at Shine that she scored a big win this week. She defeated Su Yung on 7/22 to retain the title. 7. T-Hawk: The Japanese star of Dragon Gate Pro had an impressive 4-0 week, but the reason he didn’t feature any higher on the top 10 was because only two of the four wins were in singles. He teamed with Masato Yoshino on 7/18 to defeat Tribe Vanguard (BxB Hulk and Yosuke (loves) Santa Maria). Then on 7/19 he got his first singles win of the week against Takehiro Yamamura. On 7/22 he had an impressive singles victory over Mike Sydal. And then on 7/24 he teamed with Akira Tozawa and Masato Yoshino to successfully defend the Open the Triangle Gate titles in a triple threat match vs VerserK (BxB Hulk, Kzy & La Flamita) and Over Generation (CIMA, Dragon Kid & Peter Kaasa) in a triple threat. If in future he can score more singles wins in an individual week we might see him higher up the list. 8. Louis Lyndon: If “you’re only as good as your last match”, then Lyndon is amazing right now. That’s because this weekend at Absolute Intense Wrestling he defeated arguably the biggest name in indy wrestling right now, Zack Sabre Jr. The only reason he hasn’t landed higher on this top 10 is probably because the match wasn’t for a title. But if he can continue to win matches against this caliber of opponent, he’s going to jump up the rankings pretty soon. 9. Andrew Hunter: It was another impressive week for Hunter, even if it did start off with a time-limit draw against Ram Jam at SICW on 7/22. But he soon picked up momentum, defeating Dylan Statik by DQ at IWX on 7/23, then teaming with Spider Monkey at the same event to beat Statik and Fixxer. He then teamed with Matt Atreya at UWA on 7/24 to defeat Dicknado & GYD to win that promotion’s tag titles. An impressive 3-0-1 week and some gold to add to the collection makes him this week’s number 9. 10. Alex Daniels: It was a roller coaster week for Daniels although he did end up with more wins than losses. The AIW Intense Champion started his week on 7/20 by beating Garrison King at AIW to retain the title. He then defeated Brian Carson, Derek Direction, Dominic Garrini, Garrison King and Kaplan in a six-way the same night to retain again. Then things started to go wrong as he then teamed with Gregory Iron the same night to lose to Facade & Andy Williams. On 7/22, once again at AIW he defeated Cedric Alexander, Facade and Jerry in a four-way to retain the title once again. But then on 7/23 at International Wrestling Cartel, he suffered a loss to Ring of Honor star Ray Rowe. Which eventually left him 3-2 for the week. Having successfully defended the title three times in one week, Daniels deserves a top 10 spot, but he’ll need to be more consistent if he wants a higher ranking. First off I’d like to thank my wife Tabithia and four kids (Skyler Kat Dakota and Alex) for having faith in me and for all the love they show me. I would also like to thank Joey Grunge, Napier, Kidd Riot, Tracy Smothers, Johnny Richards, Khloe Smothers, and the many others (it’s a long list)for pushing me to be better in life or in the ring. Dude I love you all like a brother (or sister). I would like to thank Midwest Impact Pro / IWA MIDWEST, HHCW, Project Revolution Wrestling, New Focus Wrestling, and the many other (again another list)for opening your locker room doors to me and giving me a shot to perform for your crowds. If more dates come about and when I have all the information on these dates it will all be posted to my facebook and twitter. For pre-order on my new t-shirt (picture below) Message me on Facebook and I will also have my shirts and photos at all the shows I am on. Who should be #1 in the Tag Team Top 5 for the Week of 7/25/16? Who we are and how the final vote is tallied: http://wp.me/P4kQ6t-1​Winner of the online voting competition are “People Champs” for the week AND helps their overall ranking! There is no award for second place but all votes that come in add to the tag team’s final ranking so vote away!Winner of the online voting competition will have their social media, merchandise, upcoming events, etc…promoted by us for a full week! Anthony Henry w/ Amber Young defeated Roderick Strong in an absolutely awesome showstealing match from both men. Cedric Alexander defeated Marty Scurll in another fantastic 1 on 1 matchup. The WWE Global Cruiserweight Classic standout continues to electrify his home crowd in PWX. “Manscout” Jake Manning survived a WAR in a title vs career main event defeating “The Southern Savior” John Skyler to become the new PWX World Heavyweight Champion! This match saw tables, chairs, thumbtacks and multiple outside interference. Ethan A. Sharpe came out to brag about his automatic bye in the 2016 Weaver Cup and William L. Cross came out stating that Ray Kandrack & Jesse Adler couldn’t compete therefore “Opportunity Knocks” for two men tonight who can earn a spot in the quarterfinals in a six man scramble later tonight. Cross also voided Sharpe’s bye and he will be forced to compete later in the night. CWF “Golden Ticket” holder Joshua “REAL” Cutshall pinned Slade Porter to win the six man scramble and a spot in the 2016 Weaver Cup Quarterfinals. Chip Day was the other last man standing in the match earning the second spot in the quarterfinals. Also involved in the scramble were Donnie Dollars, “Him”, and Snooty Foxx. Rising Generation League Champion Mace Maeda w/ Coach Gemini defeated Dirty Daddy in another controversial finish. Post match Dirty Daddy challenged Maeda one more time, this time in a loser leaves town match! Check out CWF WorldWide Wednesdays at 9 pm youtube.com/CWFMidAtlantic and CWF returns to Gibsonville August 13th for the 2016 Johnny Weaver Memorial Cup Finals Night!